Named after King George II, of Great Britain, Georgia is in the southeastern United States, with plenty of diverse terrain including: beaches, large sections of farmland, and coastal marshlands. 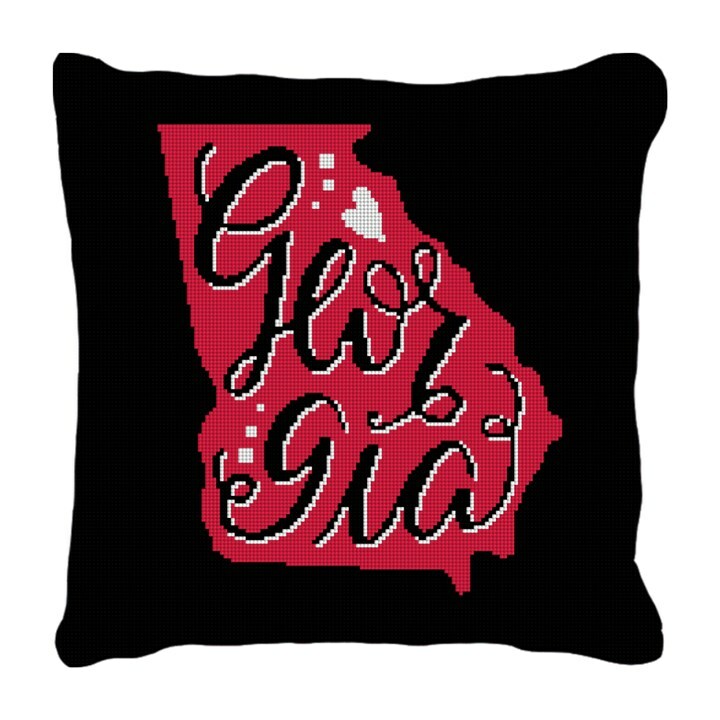 Your family may live in Atlanta, Savannah, Augusta or any of the other charming communities in Georgia; and you know it's definitely a place your family can call home! Stitch this needlepoint pillow canvas, and create a charming pillow for your home decor.